The PIMCO Income Opportunity Fund has $692 million of assets. It utilizes its assets to purchase corporate, sovereign, mortgage backed and asset backed debt securities. The annual expense fee is 1.55%. The fund manager is Daniel J Ivascyn since 2007. This fund has a high yield of 9.97%. 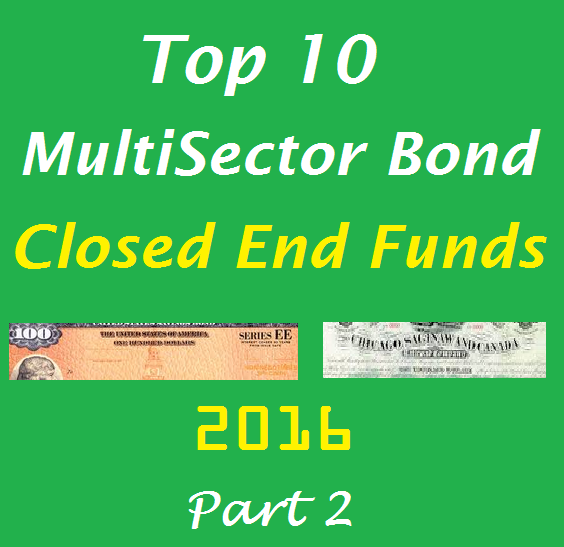 As one of 10 best multisector bond closed end funds for 2016, it has a 3 year average return of 3.77%. It has returned 10.14 percent over the past 5 years, and 10.66 percent since its inception. Morningstar ranked this PIMCO fund with 4 stars rating. As of September 2015, it has an average coupon of 5.91%. The annual portfolio turnover rate is 14 percent. Top 5 debt sectors are banks, integrated oil, electric utility, pipelines, and airlines. PIMCO Income Strategy Fund’s marker price is currently trading at 9.20% discount from its net asset value (NAV). 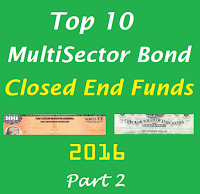 This multisector bond has a high yield of 10.72%. The assets are $386 million. This fixed income fund is managed by Mohit Mittal and Alfred T. Murata. Doubleline Opportunistic Credit Fund is managed by Philip A Barach and Jeffrey Gundlach. This closed end fund invests in debt and income producing securities. It has $429 million of assets. The total expense ratio fee is 1.67%. Morningstar has ranked this top multisector bond fund with 3 star rating. This fund has returned 3.09 percent over the past 1 year, and 6.25 percent over the past 3 years. Top 3 sectors are mortgage backed securities, CMOs mortgage debts, and collateralized loan.